Dating is that stage in your relationship when the two of you are getting to know each other. You go out and explore new places, gathering new experiences as a team. In the process, forming memories that you will remember throughout your relationship. 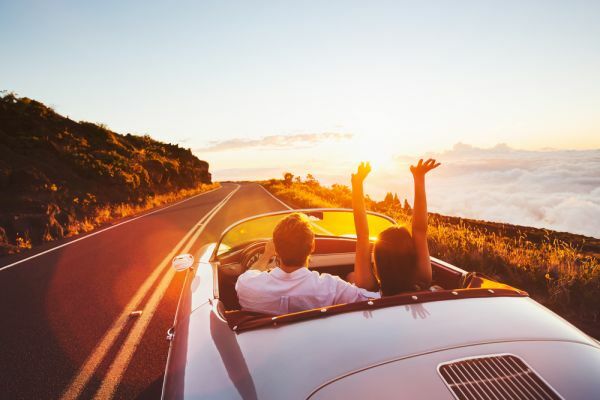 So how can you and your boyfriend make this journey more fun? I’ve made a list of creative and economical date ideas for couples that you can plan, no matter where your interests lie. It is important to take the time out for your partner to make sure that they feel loved and appreciated. Not just that, it also proves to be a productive activity and benefits your relationship greatly. So the next time your boyfriend asks you, ‘What are we doing this weekend?’ You have a list of activities to pick from! First dates are all about getting to know someone new. So for romantic first date ideas, it’s important to pick out activities that involve bonding and getting to know each other. But at the same time, you can fill the silence with small talk, if there is ever an awkward pause. Here are my top picks for your first date. The priority when it comes to your first date is the person, so a good old coffee shop gives you the chance to talk your heart out over a delicious steaming cuppa. In the process, you will also find out if he is a coffee or a tea person - because you know that makes all the difference! If either of you isn’t from the city, you can take a day to explore a buzzing area in the city. Be their personal tour guide and show them your favourite coffee shop, restaurant or your secret spot you come alone too. You’ll be sure to bond in the process of it all. Dancing is always fun so set up a date at your nearest club which plays your favourite kind of music. You can also invite some friends over and make it a double date. The both of you can bond over your favourite songs as you shake a leg together. Ice skating is more of an indoor sport in India since it doesn’t snow in a majority of the areas in the country. You can, however, make your way to the nearest artificial ice skating rink in your city. They provide you with the gear and a nice furry jacket. Sounds like fun, doesn’t it? The classic date idea, which never goes out of fashion. This tried and tested method always works! 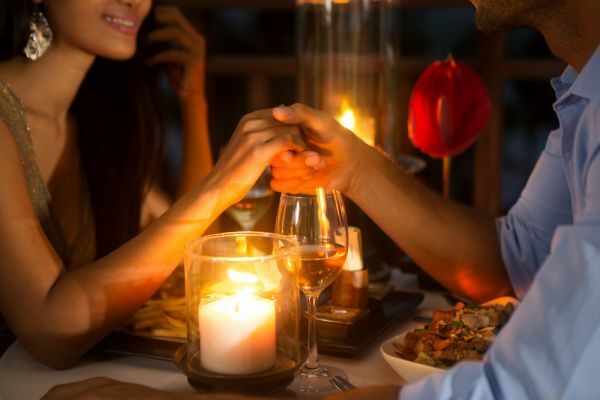 A nice warm meal, dim candle light and preferably a water body nearby, is the recipe for the perfect first date, ladies. You’ll get to chit-chat and sip some wine as you get to know each other. For those couples who are done with the regular, I’ve made a list of creative date ideas that will keep the spark alive. From taking art classes to doing something out of the box, it is nice to mix things up once in a while. Professional workout centers like Cult.Fit offer a wide range of classes you can book, including a few free trial lessons. Take a class together like Zumba or strength and conditioning. The couple who works out together stays together. Visiting the nearest modern art museum in your city is a great way to understand each other's perception of aesthetics and art. It might not be important to most people, but if you are an artist like me, then finding out your boyfriend’s favourite Pantone shade actually matters. This is a date you must try out. Find your nearest art school and take a tiny art workshop with your partner. It is a fun way to bond and get creative. You can even try to paint each other! And then gift what you make to your partner. The possibilities are endless, so what are you waiting for? Coffee lover alert! Imagine learning how to make the perfect cup of coffee. Now imagine bae learning how to make the perfect cup of coffee. Sounds better, doesn’t it? Take your partner for a coffee brewing class at your nearest coffee shop, and enjoy an endless supply of perfect morning coffee. Winters are meant for endless cups of hot chocolate and snuggling up in bed with a warm blanket. So why not take the opportunity to turn these two activities into your perfect date? I’ve handpicked date ideas for winter, which will make you and your partner, feel fuzzy and in love! Light a bonfire on your terrace on a cold winter night and cuddle up in a blanket with bae. You can have a little barbeque and add marshmallows to the mix, yummy and romantic. Tick all the boxes and watch Netflix on your laptop. 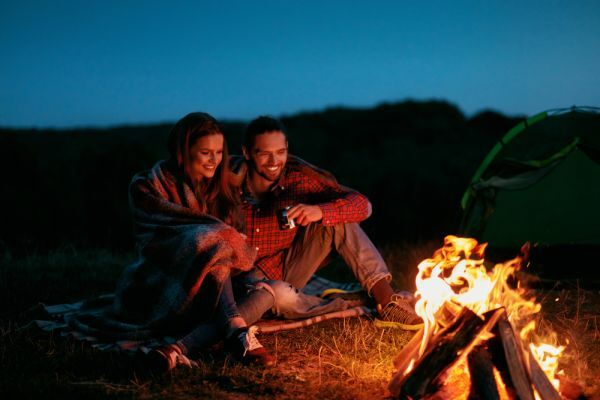 Rom com, marshmallows, bonfire and your boyfriend - it’s the perfect combination! Binge watch your favourite series, Harry Potter, Star Wars or Lord Of The Rings and light some candles to set the mood. Make a tub of popcorn, snuggle in bed and watch a rom-com your boyfriend would love. Either way, this simple and safe date never fails and gives you an opportunity to spend some quality time. If you’ve both been working hard and need to unwind together, take a relaxing couples spa. Trust me, your boyfriend will thank you for it, as his body’s muscles unwind. A day of pampering would do the two of you so much good! If you have a terrace or a tiny balcony, you can set up a quiet romantic date there during the winters. Set up a makeshift hammock or just decorate a mattress with a fancy sheet or a throw to give it a boho-chic vibe. 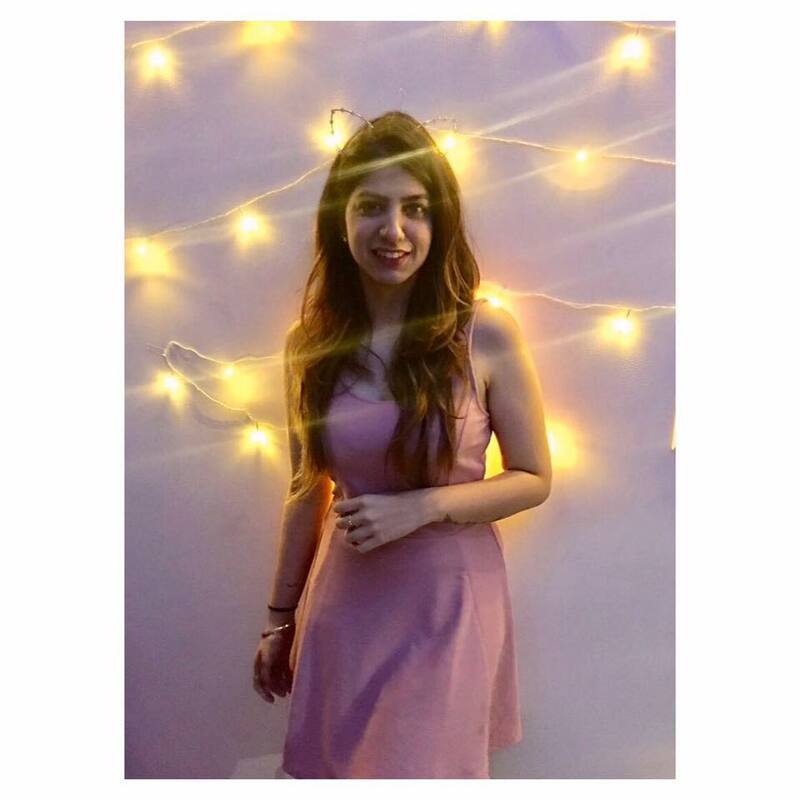 And overdose on fairy lights of different styles, creating a soft, pleasing set up, complete with some wine and Shaam from Aisha playing in the background. Starting a blog or a YouTube channel together is the new relationship norm. Just have a look at Zoe Sugg & Alfie Deyes, YouTwoTV and Wah & Weylie. These YouTuber couples have combined their different interests and started a blog together where they regularly post videos, sometimes a food post, vlog or just a clip talking about their relationship. It is a great way for the two of you to get your creativity out there and also document your relationship. If the two of you need some ideas for the month-end, I’ve made a list of economical date ideas that are still romantic! A date doesn’t always need to be over-the-top or extravagant, sometimes being sweet and simple is what makes it special. 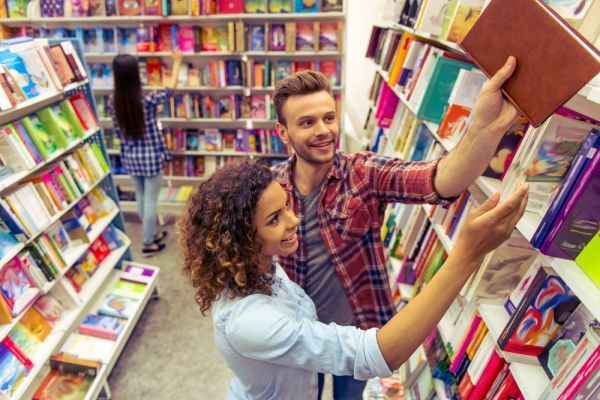 Spend an evening at your nearest used books store or library and pick out books for each other. My bookworm side is loving this idea! You can find a bookstore with a coffee shop and sip on some cappuccino as you read Shakespeare’s sonnets to each other. Visiting your nearest planetarium and watching a sound and light show is a splendid way to spend a Saturday evening. Since the cost of tickets at Indian planetariums is minimal, approximately Rs 50 per person, you can spend a day looking at the stars with bae, without worrying about the money you’re spending. Plays put up by colleges and theatre groups are affordable and will cost you Rs 300 approximately per person. It’s an economical way to celebrate art, culture and love with your partner by your side. Nearly every city in India has a monument with a park that makes for a great stroll hand-in-hand with your partner. If you’re in Delhi then make your way to Qutub Minar or India Gate, if you’re in Mumbai then Gateway Of India should be your choice. If you live on the coast, then you have the best substitute, take a trip to your nearest beach! The way to somebody’s heart is through their stomach. But say bye-bye to the sexist idea of you cooking the meal for him, instead cook dinner together! If cooking dinner seems too messy, then the two of you can bake cookies or a cake and frost it together. Once you’re tired from all the work, sit down together to reap the benefits. Anniversaries are just one more reason to celebrate your love for each other. So take this opportunity to go out, impress and shower your partner with affection. When it comes to love, there are no such things as too much. Here are date ideas for your anniversary that will make your boyfriend or husband, feel special. If you and your boyfriend are completing a year or more, it is a good idea to go back to the basics and relive your first date. Visit the restaurant or cafe you when to on your first date, and maybe even wear the same outfit! If you’ve been married for a few years then it is time you recreate your vows. It doesn’t need to be a huge party just a small gathering with your friends and family would do. Take this opportunity to dress up and do all the things that you couldn’t at your wedding the first time. Plan a nice night-out for the two of you, followed by a day at a luxury resort. You can go swimming, enjoy recreational activities, get a spa and give yourself a nice day out with your partner. Get tickets to see your favourite band and plan a trip to this concert with your partner. If it isn’t in your city, you can make a road trip out of it, and even invite some friends to join you. Imagine dancing to Ed Sheeran with the love of your life with the song ‘perfect’ playing in the background. The cheesiest yet cutest way to celebrate your anniversary is to get a quirky photoshoot done with your partner. You can pick a theme that holds significance to the two of you, could be your favourite fandom or the place where you first met. Hire a professional photographer or videographer to make this anniversary special. If you and your partner have reached that stage where you just want to stay indoors and relax after a long day of work, then I have a few date ideas for you. It doesn’t always have to be mundane and lazy, here are a few indoor date ideas for couples that are not-so-boring. Go old school and bring out those dusty cardboard boxes of Ludo, Snakes & Ladders, Monopoly, Twister and challenge your bae to your favourite board games. You can also give this date night a naughty twist by turning your game into a strip version of it! For example, play strip Twister, losing a piece of clothing every time you fall. Painting is such a wondering bonding experience, which enhances your body and mind, which is why art therapy has become such a popular form of treatment. Experience this form of self-expression alongside your partner and create something new together. If you are feeling adventurous, then you can give this Love Is Art kit, which is easily available online and gives you all the equipment necessary to make art while you’re making love. Spend this time indoors trying to get to know each other better. You can play a quick game of 20 questions and even add some wine to the mix. In the process, you are bound to uncover some fun secrets about each other. Get in touch with your inner kid and build a living room fort with your bedsheets, order in some pizza and watch a scary movie in the dark. A fun night with bae in this makeshift tent is the perfect way to relax after a long week. For the couples who just can’t stay indoors and need to be out and about, being productive, I’ve made a list of outdoor date ideas that will pique your interest. You can sweat it out and get down and dirty with your partner, all the while having loads of fun! No matter where you stay, you can always find a cozy hill station or a secluded beach to spend some time quality time with bae. A beautiful sunset in the background can make any space seem romantic. Take a long drive with your partner, playing your favourite music in the background and binge on some ice cream and chocolates on the way. Have your own Jab We Met journey! If the both of you are big on social media and love Murad Osmann’s Follow Me Too series, then a photowalk is the perfect opportunity to recreate those pictures. You will get to explore the city for a day, usually, these photowalks are held in popular cultural hubs like Chandni Chowk and Shahpur Jat and you can book them online. Dayara Bugyal Trek, Chopta Chandrashila Trek and Nag Tibba Trek are the most famous treks located near Delhi. You can explore other trails near your city with your partner. This will give your daily dose of exercise and fresh air. Be sure to shop for the right boots and pack the right amount of food and water. Astroport is just one of the places in India that offers tends under the sky and provides you with stargazing instruments. You can have a night under the stars at any open area or hill station near your city. Create your own Zindagi Na Milegi Dobara moment where Katrina Kaif and Hrithik Roshan spend the night connecting under the stars. A trampoline park is a room with a row of trampolines lined up, where you can jump from one to another, just like little children. This playful date will give you a chance to shed your inhibitions and jump like nobody's watching!